Summer is ending and Autumn is right around the corner. 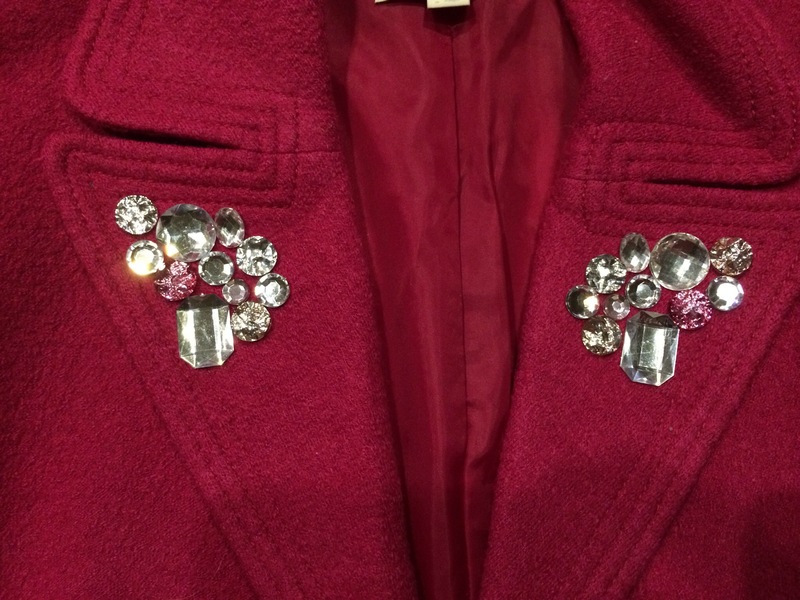 With the chilly weather coming I figured I would blog about my Bedazzled coat. I saw this gorgeous coat in J Crew but it was a ridiculous amount of money. (my opinion) and I thought hey I can do that. I love jewels, rhinestones, and sparkles on things. Cuz I’m girly like that. I grabbed one of my pea coats in pink (I love pink) and I had random stones that I bought from Michael’s and others that had fallen off other items of clothing. I was a little picky when picking out stones since I wanted the stones to stay on the color theme of my coat and I didn’t want it to look tacky or cheap. I glued the stones on the collar using a glue called Mighty Gemite. I came across this glue in my house I didn’t even know I had it. It came with Mighty Mend it. (as seen on TV product). Next, I made sure that the stones were even and that it matched on both sides of the collar and BOOM a bedazzled coat. I’m sure you can use a glue gun(I’m messy with those) or an actual bedazzler ( I could not find any )to fasten the stones but I was just working with what I had. I have worn the coat several times and luckily all of the stones are still there! I love it and it looks fancy!